Am I Introverted, or Just Asian? “Quiet Asian kid.” Someone called me that while I was in university in Canada. I hate that term, that stereotype. I am introverted, yes. I am Asian, of Chinese descent, yes. But must one necessarily follow the other? I’ve always been quiet. I was the child reading alone during playtime, the girl hanging out at the library after school, the teenager lost in her own world. I am the woman calmly observing the chatter around her, the one who is garrulous only through her fingers and receives Twitter messages such as “I’m wondering why someone who speaks so beautifully on her blog was so quiet over dinner” from new acquaintances after one meeting. Growing up, I was confident in my quietness. It was just my nature, a personality quirk that made me me. It had nothing to do with my family or background, I thought, since my Chinese Malaysian parents were both extremely gregarious, opinionated people who thrived at social events, and they encouraged me to be the same. But being around people for too long sapped my energy, so I preferred to sit back and observe, and to put those quiet observations into writing. The quiet Asians are always studying, and take over the best seats in the library. The quiet Asians never hang out with anyone else. The quiet Asians never talk in class, it’s so creepy. Who got the scholarship? That shy Asian guy, of course! The quiet Asians give all Asians a bad name. She always seemed like a shy Asian, but she was so ferocious in bed! The more I realized that people saw my quietness and Asianness going hand in hand, the more self-conscious I became of how I looked and acted. Do I look as I act, act as I look? I tried breaking stereotypes by being more social, yet failed miserably as an extrovert. While I gave splendid presentations in class and joined clubs and societies like everyone else, I started breaking out in a nervous sweat at parties, and twisted my tongue trying to make small talk. After a while, I couldn’t take it, and went on a “journey of self-discovery,” a.k.a. I escaped to the continent of quiet Asians, first to Singapore on exchange, then to China for my Master’s. What I learnt from my time in Asia — nothing much aside from “some Asians are quiet and some are loud,” which is true for every race everywhere. Big epiphany. Not. Yes, there were the typically quiet Asians. During my study abroad year in Singapore, I nodded whenever my fellow exchange students from Canadian universities complained about the “quiet locals” in class, then happily blended in with the (somewhat quiet) Singaporean students during lectures. When I came to China for graduate school, international students from the West had the same complaints about the “quiet Chinese kids” who barely spoke in class, and I hid amongst those (somewhat quiet) students too. But that’s the key phrase — they were somewhat quiet. Yes, we all know that the education system in Asia encourages rote-learning students who are quiet and submissive compared to their Western counterparts, but amongst those quiet(er) Singaporean and Chinese students I studied with were the talkative ones who asked questions and challenged professors. They were the noisy ones at the center of attention, the brazen, confident ones who were energized by human contact and destined to become lawyers, journalists, politicians, and whatever careers are not for the meek and quiet. And away from the classroom… well, listen to how Chinese people bargain and resolve a dispute and shoot the breeze with each other, and I dare you to tell me that Asians are a shy, introverted bunch. 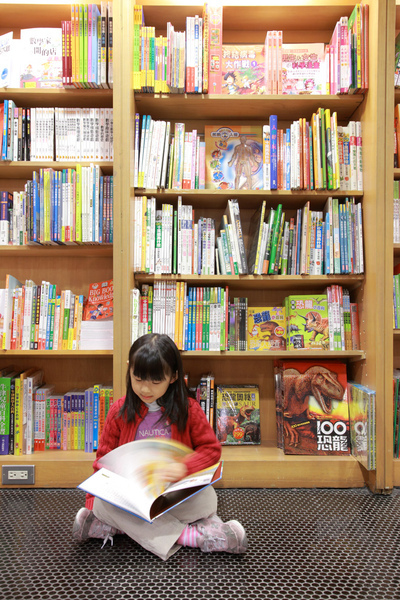 I remember happily reading alone in bookstores... Read on, little Asian girl, read on. I guess I’d take that over the racial/cultural explanation any day. Are you a quiet Asian? What do you think of that stereotype? Christine is an introverted overseas Chinese woman in Shanghai, where she blogs at Shanghai Shiok! The Family Home or the Nursing Home?